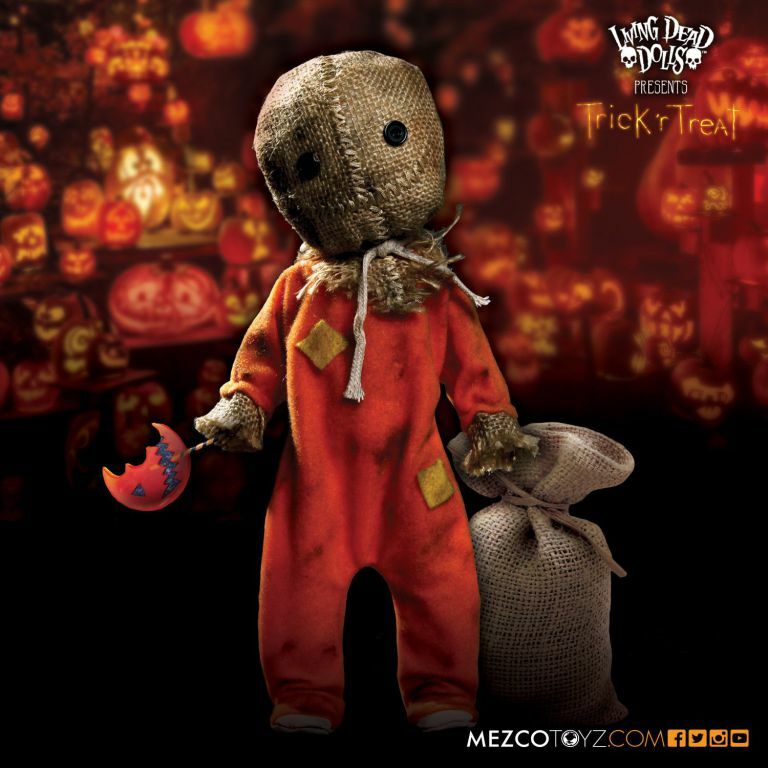 This is one of the most exciting horror dolls for me by far, which is the Sam character from the 2007 horror classic Trick ‘r Treat. This thing is totally sick! 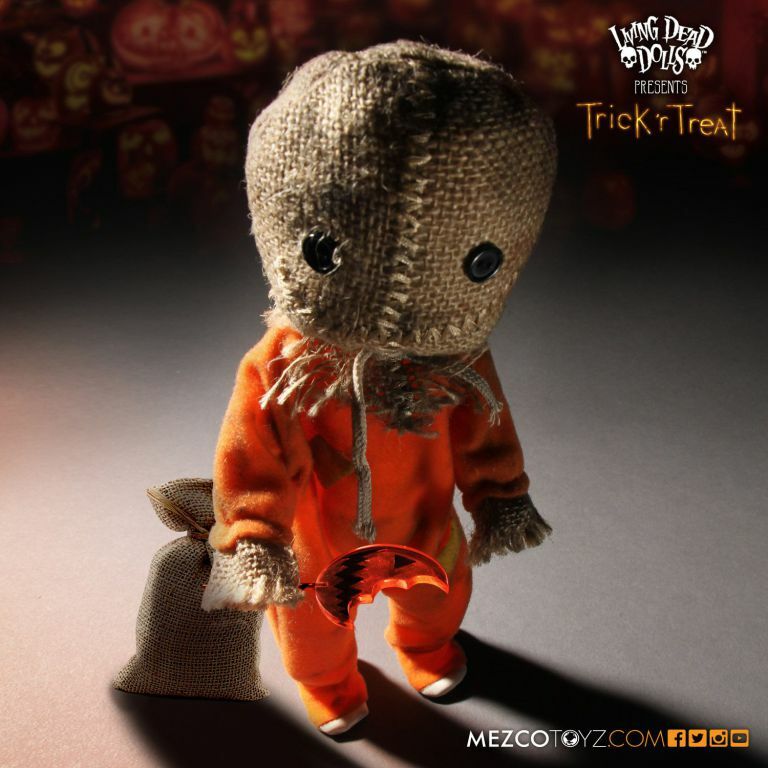 What do you guys think of this, one awesome Living Dead Doll or what? “He may look like a child dressed for trick or treating, but Sam is the personification of Halloween itself. Straight from the film Trick ‘r Treat comes Sam, the enforcer of the rules of Halloween. Beneath his apparently innocent scarecrow mask is his misshapen, demonic head. Part pumpkin, part supernatural being, Sam shows no mercy to those who show disrespect to his holiday. Check out images below and head over to Mezco Toys to pre-order yours now! 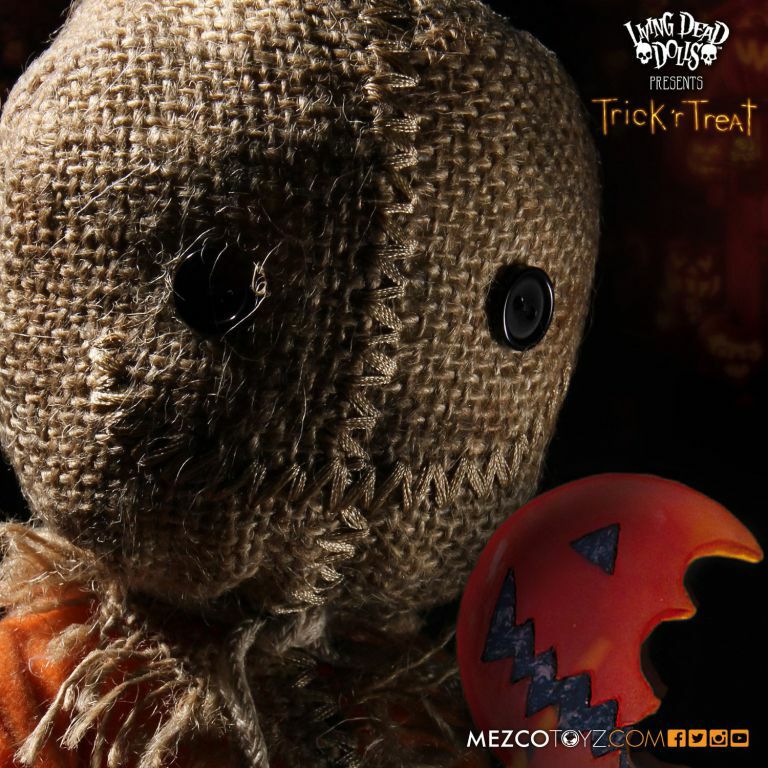 The Sam Trick ‘r Treat Living Dead Doll will ship in October/November, so order yours for Halloween!